I have released the quest. The beta testing phase is complete. Thanks to a lot of help and suggestions from Epsalon ZX. I also must give thanks to LunarWeeb for giving me the opportunity to rework his original, excellent quest with Quality of Life improvements and a fresh coat of paint. The quest is now ready to be played by all. I suggest not equipping the bow to R at the beginning. Your game could freeze. If you die before saving, your game could also freeze. The simple fix for both issues is to start a new file (it's only a minute or two into the quest), as I wasn't able to replicate the issues, and I don't know what causes them. Congrats on release. Loved the original, can't wait to properly try this out! I forgot to mention this. There are items on the subscreen that you can select but they don't do anything cause they are just equipped. I believe it's everything starting with the tunic, plus the shield. Nice quest so far Shoshon. I'm out of the grave and almost finished the temple of time. I can't open the northern palace and I can't get past the final block in the temple of time that leads to the compass room. Hints would be appreciated. Also, a "spacebar" map for the overworld would be very helpful. I didn't know about the blue and red tunic before I fought the black guys that shoot very powerful projectiles and it was very challenging. I don't know if you intended for it to be like that but those were nice fights. Grave boss fight was a little easy - just heal up everytime you can't shoot sword beams. The auto-float is a little annoying and broken - if I'm on stairs it triggers. And there are times when I don't want to be floating. Perhaps what might have worked better is a double jump or some way to indicate whether or not you wish to float mid-jump. Ah. The final block. What you need for that is the ocarina. If you play it in front of one the triforces on the background, the block will disappear. I could probably put in a hint for that when I get home. I actually originally had a spacebar map but I was advised by beta testers that it wasn't necessary. 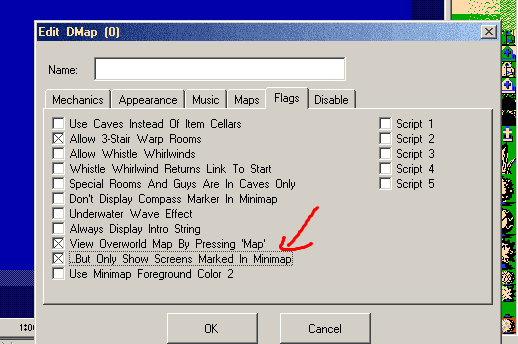 The overworld is also on the same map as the caves, houses, Sanctuary, Death battle and Prologue. They weren't necessarily intended to be powerful. But I did intend them to be challenging, especially without the proper gear. The grave boss? I thought he was kind of easy too. I buffed him the day before release. Guess it wasn't enough. I completely agree about the auto float. 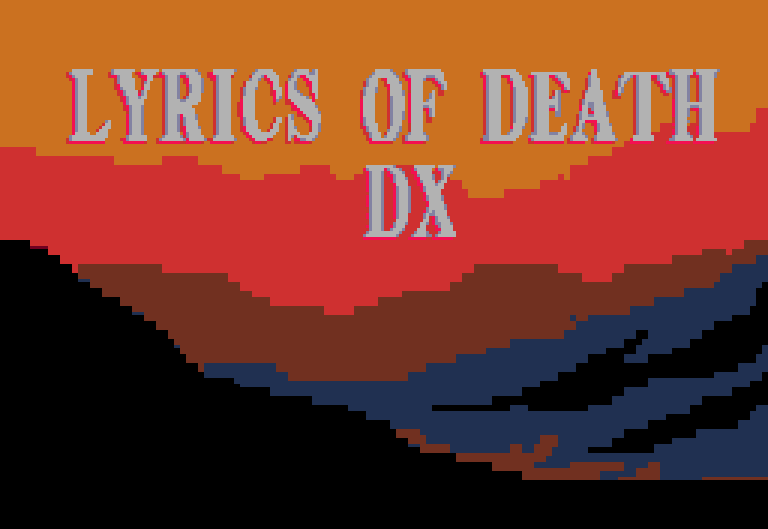 The sideview ladder script is part of the tileset I used. I brought it up but basically it was the best option for floating with sideview. Since I am not really script savvy I don't really know a way to improve it. What I do find helpful is that if you press down while you are floating, Link will descend. Still doesn't work on the ladders though. Thanks for the hint. I managed to finish the quest. I really don't like the whistle being used in that fashion - players can easily get stuck and can't progress if they don't figure out where to whistle. Not a good feeling. Reminds me of the old Zelda 1 games where you needed pen and paper to record where you whistled in case you missed a mandatory secret. As for the spacebar map I think that it doesn't do any harm if you include it. If people think its unnecessary then they probably won't be using it, but for those who like the extra convenience its there. Perhaps you should tell people what the proper gear is before they fight one of those black guys because its not easy and most players in the ZC community prefer easy difficulty. As for difficulty balancing, this is a tricky and thorny issue. Long story short - this is your quest and it should be about your tastes and what you think is "good" Zelda. Difficulty is a preference and if your preference is for really easy bosses then that should *rightfully* be represented in your quest. If you try to balance things for other players I think you'll soon see how hard and time-consuming it gets and its not really something that can be expected according to my three laws of quest making. As for the auto-float if you're not script savvy then I can understand things being the way they are. It would be very expensive for you to fix something like that and I can totally understand that you would leave things the way they were. Its just a cosmetic effect and would take too long to fix. I just thought you were quite good at scripting since most of the quest appears to be well-scripted. Anyway, it was mostly a nice quest and on the whole quite entertaining only part I didn't like was the whistle secret. Thanks for it! If you have any ideas on how it can be made to work properly....I'm sure they'd be welcome. The whistle secret...wasn't the Ocarina used to open the door in the Temple of Time to the Master Sword in Ocarina of Time? That's common knowledge. Hmm...Maybe make the Ocarina work anywhere in the room instead of only on the Triforce symbols....But add a hint somewhere in the Temple to 'remind' the player what the Ocarina was originally used for. Edited by Epsalon ZX, 02 January 2019 - 07:53 AM. Well in all fairness, it may be a bit wrong to expect people to have played a certain game, or think of another game as a hint like that. So I can understand. I'm out of town right now, but when I do get back to my computer I can make an edit to add both a hint and enable the map view. I don't like seeing all these extra screens, but I don't mind adding it in. I see where you're coming from. Thing is that this is Zelda Classic which is built around the first and second original NES quests. Its only really fair to expect that the player has played the first and second original NES quests and not future Nintendo quests. If a player hasn't played Ocarina of Time then they're going to be stranded in that room. Yes, I think a hint would be the most appropriate thing. 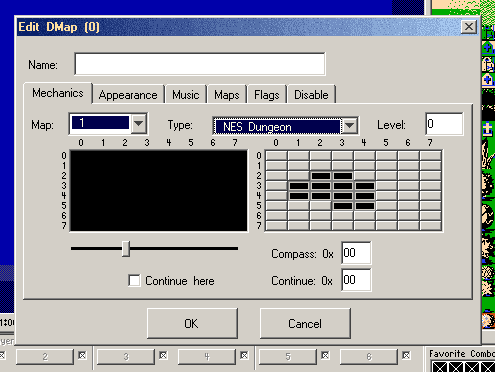 Zelda 1 had no real visual cues for Whistle spots either, so... I don't know the full context, but I'd say a Triforce symbol could work. Then maybe check this as a bonus? Or maybe uncheck it if you have and you want to show the full map? For reference the current set up I'm suggesting is how I handled it in Rite of the Storm. It's fine Shane. I know how to do these things. I'm not able to do it yet though. I put out a new update which allows you to see the map on the overworld, and adds a couple hint ghosts for parts that have gotten people stuck. Sounds like everyone is ripping right along and I can't even find the arrow. Check behind and to the left of the Northern Palace of the overworld. There's a new bug that has been found. If you run out of super bombs [large explosion spell] (somehow, even though they are supposed to be infinite), the game could freeze the next time you open the subscreen. I'm looking into a solution, and will have an update when I can get one. Proceed with caution for now. At worst, I may just have to turn the large explosion into a strong explosion and make it essentially upgraded regular bombs.